Martha's Vineyard license plate sales benefit charities on Island. 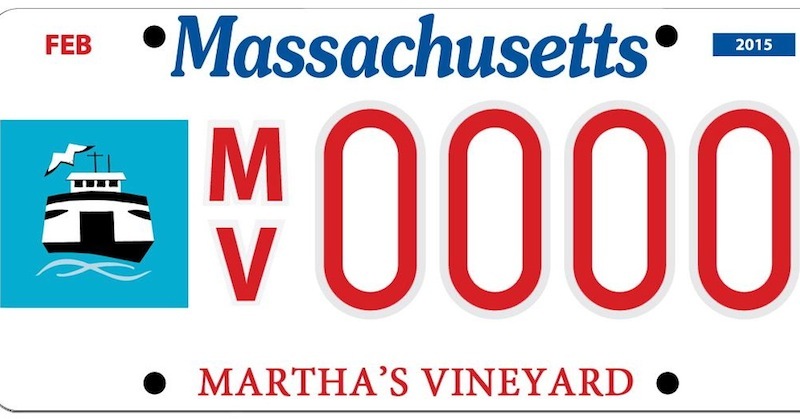 In a first, Martha’s Vineyard Community Services Monday opened up a live auction for 10 of its low-numbered vanity plates. The plates, numbered 7, 9, 11, 14, 21, 27, 33, 66, 88 and 99, are now all available for bidding on the Bidding For Good website, from mobile, tablet or desktop devices. Proceeds from the auction are tax-deductible donations that will support the programs and services of Martha’s Vineyard Community Services and Island nonprofits that benefit youths and seniors. Since the inception of the license plate program in 2015, Community Services has sold more than 2,300 plates and generated almost $100,000 for the community. This is the first opportunity to purchase a low-numbered plate through auction. “We reserved plates 1 to 100 early on in the process,” said communications manager Mary Korba. “People kept calling asking how do I get plate number 1. There’s definitely been a lot of interest leading up to the auction,” she added. The auction will also benefit the Community Services Driving the Future Charitable Fund, a collaborative effort between Community Services and the Permanent Endowment for Martha’s Vineyard. Twenty per cent of annual net proceeds will go to other Island nonprofits to support education and health and human services for children and seniors on the Island. Organizations interested in applying for this grant are encouraged to visit the Permanent Endowment for Martha’s Vineyard website. An interested buyer has already placed an opening bid of $1,000 on the number 33 license plate. All plates have starting bids at either $1,000 or $1,500, and “Buy Now” prices in the $5,000 to $7,000 range. Another auction, for 10 different plates, will occur on Sept. 4 and end Sept. 14, while Community Services has set a third for the holiday season, Dec. 3 to Dec. 13. This auction ends July 19 at 11:59 p.m. I would really like one of these plates for my car, as my family were therew 1630's.